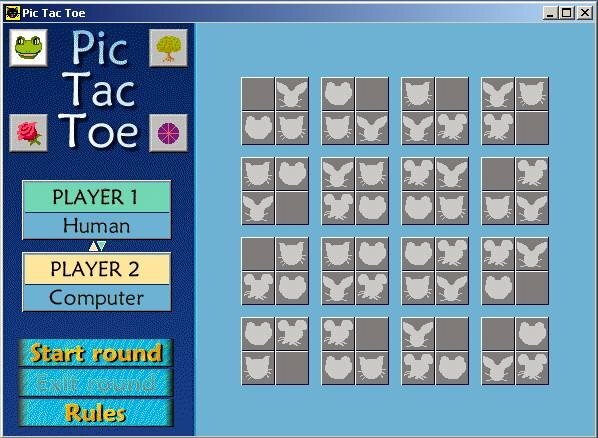 Pic Tac Toe is a tic tac toe style game with some interesting modifications. First of all, the gamespace has been extended. The ‘board’ is divided up into 16 groups of four squares each. 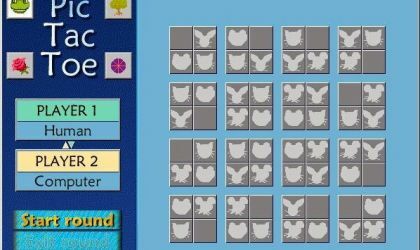 To win, you must either change a group of squares to your colour, change squares to your colour in 4 different groups in the same position (for example, the top right blocks only in 4 different groups), or change 4 non-blank squares to your colour with the same picture. The game is very simple, nothing to write home about. Pic Tac Toe will appeal more to younger gamers. 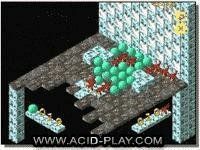 For a puzzle game, the graphics are more than adequate but sound is non-existent. Pic Tac Toe is extremely easy to master. Warning: older gamers will get very bored, very quickly with this game. It was a basic matching game and was geared to first graders maybe preschoolers. I was very disappointed in the play of this game and lost interest nearly immediately.